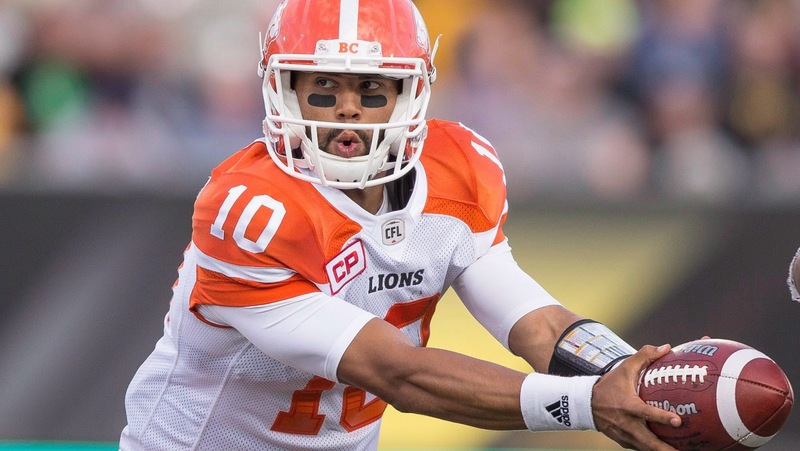 VANCOUVER - Jon Jennings threw for 348 yards and three touchdown passes and won a battle of quarterbacks as the B.C. Lions held on to beat the Ottawa Redblacks 40-33 Saturday. Trevor Harris of the Redblacks was the most productive quarterback of the two CFL starters at B.C. Place Stadium, throwing for a pair of touchdowns and 485 yards, but came up short. B.C. vaulted into sole possession of second place in the West Division with the win. The two quarterbacks spent the first half marching their teams up the field, earning a well-deserved breather at the break after a furious offensive pace which featured four lead changes and the Lions holding a 27-23 lead. Harris fired the first punch, leading Ottawa (6-6-1) to an opening-drive touchdown on a 12-play drive capped by a three-yard scoring toss to Brad Sinopoli. However, Jennings responded with a touchdown in the Lions (9-4) opening possession in two plays, finding Chris Rainey behind coverage for a 30-yard score. Rainey then turned in a 42-yard punt return which set up the first of two field goals by Richie Leone of the Lions in the first half. Harris, who completed his first 13 pass attempts, returned fire later in the half with a 66-yard scoring strike to Chris Williams. Ottawa kicker Chris Milo connected for three field goals. pathetic attendance BC! The marching band at halftime had almost as many fans as the game itself. This was CFL football at its best, very entertaining. BC is like Toronto a City that thinks its to big for the CFL. Bringing in an American College band for half time .... really.